The makers of the most, or at least until now, anti-piracy protection is a bit in of a panic since the recent discovery that their protection is not uncrackable. For context, the anti-tampering software Denuvo was so difficult to bypass, that the infamous Chinese piracy group “3DM” had to announce that they would be giving up on cracking any games with the Denuvo protection. 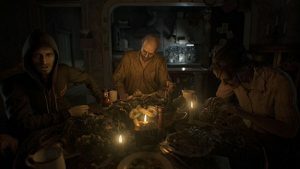 However, recently it was discovered that the new AAA survival horror hit Resident Evil 7 has been cracked, and within a week of its release date! This references that while major games use Denuvo, they mostly do it for the release week (or in some cases months), but is lifted after that. However, this only happened a week after release, which is not a short time. Now it’s not known whether or not this was a stroke of luck by some cracker or a genuine bypass for the supposed “uncrackable” Denuvo. © 2019 Mouse Area. All Rights Reserved.